FFA - American Addiction Centers stop advertising on Al Jazeera America. American Addiction Centers has stopped advertising on Al Jazeera America. Florida Family Association sent out an email alert on March 3, 2014 regarding American Addiction Centers' advertising that recently started airing on Al Jazeera America. FFA supporters sent thousands of emails to company officials. 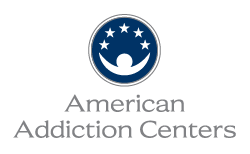 American Addiction Centers' advertisements stopped airing on Al Jazeera America on March 10, 2014. A total of one hundred forty eight (148) companies have stopped advertising on Al Jazeera America.